Information: British Railways Modernisation Plan put forth plans in the late 1950’s to electrify large parts of the network using 25-kV AC electric over-head catenary. Subsequently plans were put forth by BR for five prototype designs to be built in sufficient quantities in order to evaluate locomotives, resulting in the AL6, later Class 86. Details: Between 1964 and 1965, 100 AL6 AC electric locomotives were constructed, with 60 being built by English Electric Vulcan Works at Newton-le-Willows and 40 at BR’s own Doncaster Works. In operation the class has seen a number of changes over the years. The first major alteration, necessitating wheel replacement and fitting of large helical flex-coil springs to the bogies due to problems associated with track damage. Other changes came about as operating needs changed, usually not resulting in external appearance modification. 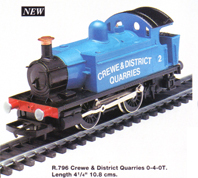 It appears that most Class 86 locomotives were originally out-shopped in Electric blue with red buffer beams and white window surrounds and roofs. The livery was adorned with a cast BR lion emblem and running numbers at both cab ends. It appears that British Railways wasted no time adopting the new Corporate Blue colour scheme with full yellow ends while production was still in progress. 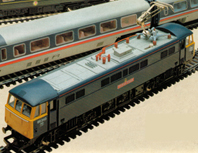 After 1972 locomotives in the class were renumbered in the Class 86 series under TOPS. After 1972 locomotives in the class were renumbered in the Class 86 series under TOPS. During the mid to late 1980’s locomotive were repainted in BR Sector colours to suit passenger, parcels, or freight operation. After the mid-1990’s, locomotives were scattered amongst numerous Private Operators receiving a wide array of colourful liveries. Several locomotives were prematurely withdrawn due to fire or accident damage. Commencing in 2000, further members have been withdrawn. As of late 2010, 21 members remain in active service status with most being operated by Freightliner and 2 additional locomotives being refurbished and exported to Hungary. Currently, four locomotives have been preserved, all in operational condition.